As January 2017 ends, another milestone begins for me personally and for this blog...CollectInTexasGal. Yes, it was a milestone birthday for me this month, and as HiHoney pointed out, "You are now out of your 60's". Wow! I've always been a 60's Gal. In high school in 1961-1965. A 60's Oldies but Goodies music listener and BeBopper. 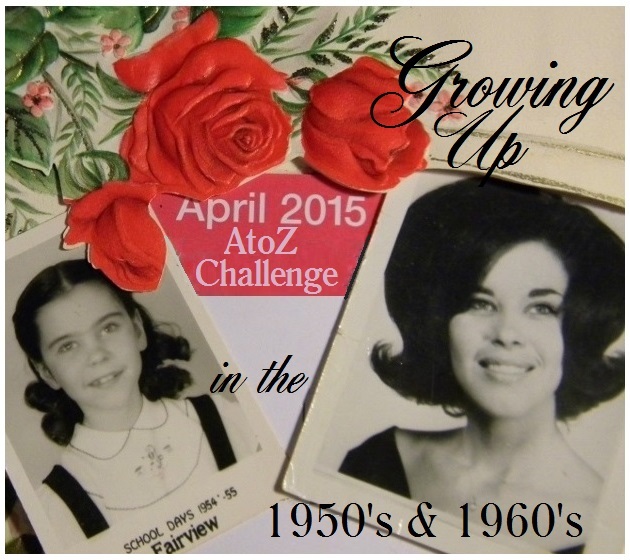 Such great memories...why I even dedicated 2015's AtoZ April Challenge to those memories. In my heart, I'll always be a 60's Gal. My first January blogging here on CollectInTexas Gal was in 2010, and although it has changed in appearance many times, CollectInTexas Gal has been what is now known as an 'Old School Blog'. Yep, blogging has changed and according to 2017 Blogging Trends and Predictions, blogging as I know and write it...has gone from Journaling and Joining to Business and Buzzfeeders. Did you know we should no longer call ourselves bloggers? The replacement terms is 'Business Owner'. It seems many major blogs are turning off their comments and instead of conversation via comments...it's all about social platforms like Facebook and Twitter. Then there is the traffic jam on phones and tablets where on the 'Go'ers' can blog in a hurry and zip through their Blog List of non- commenting and packed Ads. For Me...I guess I'll just have to hang with 'Old School Blogger'! Now, don't get me wrong....I like change, and can easily be called the 'Queen of Design Change'! That is how I'll be Trending in 2017. I've never joined Facebook and Twitter and have no plans to do so. I only read blogs occasionally now and post once in a while. I'm not a business owner so I'll just continue to call myself and occasional blogger. 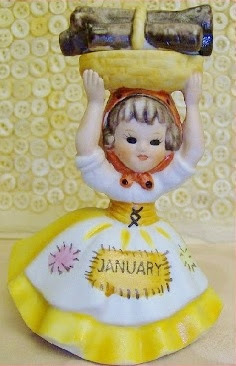 :) Do you collect the angels with the months on them like you have at the top of your blog? My mother had some and I have hers and when I see them in antique malls for a good price I add to them. So glad you stopped by to read my blog today, Betty. I do have a collection of the Monthly Angels. I too find them at antique malls or thrift shops..also for a good price. I think I have at least one for each month now. So good to hear from you Hilary. 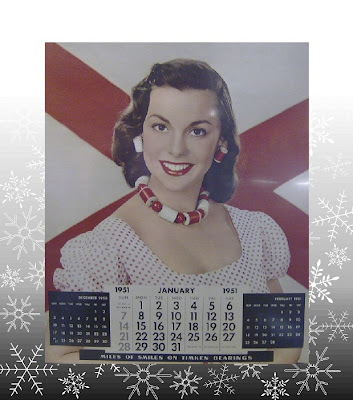 Hope your New Year and the month of January has been good to you. Thanks...I'll miss my 60's, but look forward to this next decade and the next and the next. LOL!! !Always looking forward!!! Thanks for stopping by. One of the major reasons I like blogs is that the blogger's personality shines through. You are not just reading about topics, you get to know the author. One big difference for me with blogging is that I now don't look to others - bloggers - for linkups and comments. I feel my blog and my topics can stand on their own. Hope you are doing AtoZ this year - I am already gearing up. Yep...we are the Boomer's, and hasn't it been a blast?!!! Your blog definitely can stand on it's own...unique and full of your great personality. I haven't geared up for AtoZ yet. I hear there are changes coming around the 6th of February. I'm clueless as to a topic this year! Thanks for stopping by...so fun to hear from you. Why thank you Joanne...it's nice to know 'Old School Blogging' is still a relevant Trend. I think there are enough of us that it will remain so for a long time to come. I know for sure, I can't use too few words to TWEET. I love comments on my blog, and I like to comment on other's blogs, too. I'm not on any social media (I already waste too much time on the computer). Happy belated birthday! Thanks for the birthday wish! I think all of us who started blogging and commenting when blogging was new do enjoy both comments and replying to comments. I enjoy the support and positive support comments offer and hope my returns are taken in the same light. I am on Facebook...it's changed so much I hardly recognize it anymore. However, I do like being in touch with my family and friends. The other stuff is easy to block or ignore. I am working on making the best of my time on the computer! As I mentioned to Cheryl, I hardly recognize Facebook today from what it started out as. Being in touch with family and friends makes it worth while. I am also wondering how AtoZ will change in the face of Social Media Trending for 2017. We will see...I may not have any idea how to fit my 'Old School Blogging and Writing' into a new Trendy Format. No matter how it goes, I'll always be so glad for our AtoZ get together! We can just keep buzzing along with our fellow bloggers. I actually like the personal aspect and the polite way my blogger friends (including you, sweet Sue) interact with one another. Some of the "youngsters" have different people values so I'm sticking to the old ways! Ha! I agree...'Our Fellow Bloggers'...many who have been together for as long as I have been blogging...will keep buzzing and blogging along. There is much to be said for comforting change that has the warmth of personal interaction. I guess we are experiencing a 'Blogger Generation Gap'. I do appreciate and support the 'youngers' in their spirit of progress and change! Oh my gosh, I fit right in! I am so over the politics! My friend Loretta, in new Mexico says it best, stop whining, complaining and drive up t your state capital or D.C. and make a real difference! Do something positive! I am trying to get back into my blog daily. I want to post as often as I can. The blog has helped me through some tough times as well as good ones making those better! I love my phamily and friends so I blog about things I love like all of you! I tried twitter, oh Lord, the filthy language! Not my cup of tea. Also had some strange characters show up on my feed at Instagram. I loved Facebook at first! If you do not have the same ultra liberal values, then they don't care for your presence there. I still talk with girlfriends there "privately". I found out some sad sad facts about some people I once thought I knew. I love how you present your posts. I have always loved your variety of shares, so keep it up. Ah...happy birthday kid! You are so youthful! I tell everyone your wedding story, I find it soooo romantic! HiHoney is very blessed having you and I know you feel the same way about him. I sure am glad I know you and enjoy everything here. Have a blessed and beautiful week. Keep blogging. Thanks for the birthday wishes, Anne. I'm so glad we have been blogging friends for all these years, and yes, it has it has helped many of us through difficult times. The support and caring has been amazing! I so appreciated your spearheading a number of 'Quilt Drives' for children in need. Such a warm and generous heart. Look forward to 2017 and your blog posts. Happy birthday, Sue. :-) Your blog is looking good! Thank-you Teresa!!! How nice to hear from you. I've missed you! We will have to hook up more often. Thanks for stopping by...you made my day! I use Facebook too but am definitely getting tired of political posting and so only use it now for my crafting buddies and showcasing some of my things. I started Facebook to keep an eye on what my kids were posting, but they are no longer using it (plus they are adults now so I kind of lost control over that stuff). It was also good for keeping up with some of my high school buddies when we were planning our reunion but we're done with that now too. I LOVe comments on my blog and appreciate the posts you share. Happy birthday to you! Many more to come.